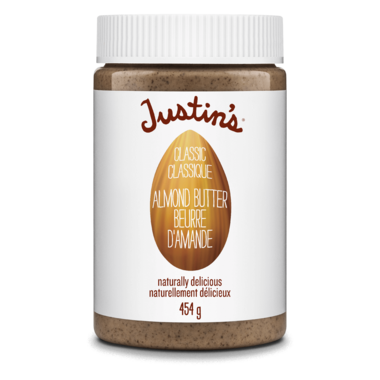 Justin's Classic Almond Butter is naturally delicious and only has two ingredients! 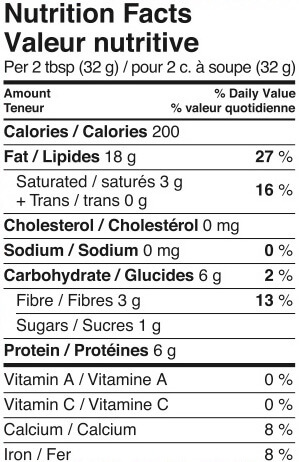 Ingredients: Dry Roasted Almonds and Palm Oil. Avery good and tasty product , will be buying again. This product is made with PALM OIL. It's therefore not healthy and horrible for the environment. Sure, it spreads well but it isn't creamy, it's dry. Love this almond butter. Stays emulsified and has a great mouth feel. This stuff is great! I've been known to eat it by the spoonful. It doesn't separate or harden like all of the other brands of almond butter I've tried. Delicious and doesn't separate like other, cheaper brands.